Here is our timeline leading up to owning your own R.House at Montrose Woods. We would be delighted to walk you round our stunning Show House at Montrose Woods. You can come and have a look at the development for yourself and if there are other house types to view on that day we can show you these too. We have a lovely selection of plots, many of which are south facing and our existing houses range from 2 – 4 bedrooms. More information on our range of house designs can be found under our houses section on our website, or you can download our Montrose Woods Brochure. Alternatively, we can send you further details via email or chat through your options on the phone, get in touch if you would like to do so. We will make sure you are aware of all of the options available to you and you can work closely with the sales team until you have found the perfect R.House to suit your lifestyle and needs. 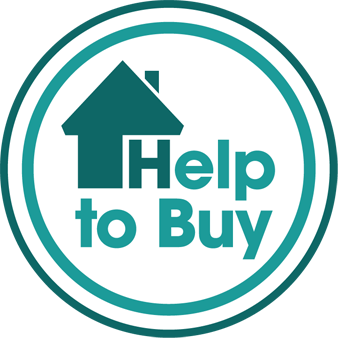 You can use your own financial advisor or if you like we can put you in touch with a recommended independent mortgage advisor that we have worked with many times in the past. We only ask for a reservation fee of £1000 which will be refunded to you should you go ahead with your project and the missives are signed within 21 days. Your mortgage lender will advise and talk you through the process of finalising your mortgage and concluding your missives. There are all manner of upgrades you can customise your new R.House with. Typical upgrades include a wood burning stove, a porch or utility room, an ensuite, extra glazing, engineered oak flooring, kitchen and bathroom upgrades amongst many more. The list is not exhaustive, let us know your ideas and we can advise you on how best these will fit in with your new home. The beauty of buying off-plan is that your new home is completely customisable, meaning the style of your home can match your personal tastes. The options for your dream kitchen are endless, we will arrange a meeting with a kitchen designer of your choice so that you can tailor your kitchen to your preferences. We then outline all of your requested upgrades for your home and these will be paid prior to the completion date being issued. Your completion date will be given to you and the house building begins. You will get the opportunity to visit your new home and have a look around. You can highlight anything that needs done before the final settlement is made. Settlement is made and the keys are handed over.